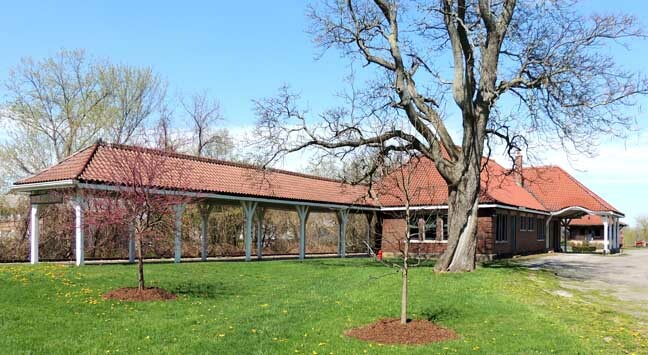 One of the finest and best preserved suburban station complexes in Western New York. Auburndale, Massachusetts Train Depot - Demolished in 1961. Richardson designed nine railroad station buildings for the Boston & Albany Railroad as well as three stations for other lines. 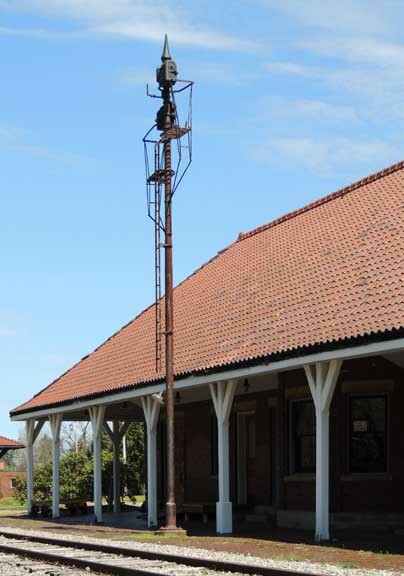 Beginning in 1881, the Boston & Albany began a massive improvement program that included the building of over 30 new stations along its main line as well as the Highland Branch, which it bought in 1883. 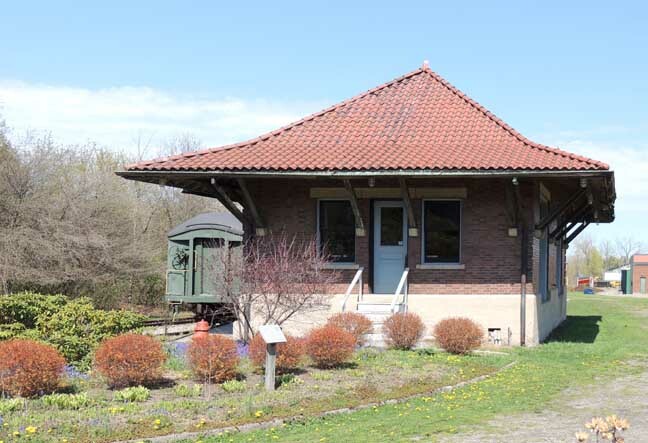 Acclaimed architect H. H. Richardson was hired to design several stations (eventually nine) along the line, starting with Auburndale. 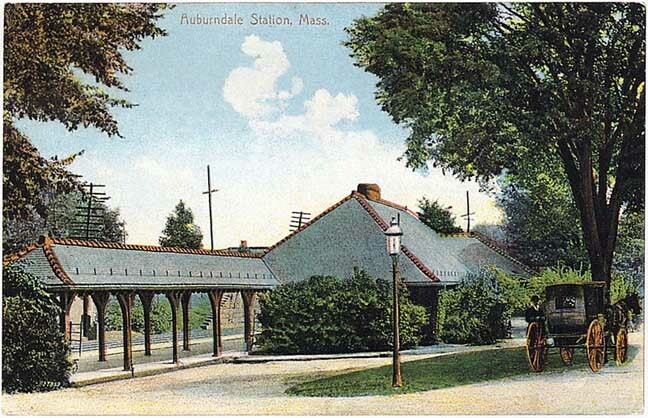 Although not as grand as some of his other B&A works like Framingham and Palmer stations, the Auburndale station's design was highly praised. Henry-Russell Hitchcock called it "the best he ever built" in The Architecture of H.H. Richardson and His Time, and a 1904 architecture journal claimed that Richardson's depots at Auburndale and Chestnut Hill "created a new standard of way-station construction." The 1881 station was constructed in Richardson's signature Richardsonian Romanesque style, with influence from Japanese architecture as well as Romanesque Revival architecture. The one-story building was built from "red and light grey granite", with "heavy masonry and dominant roof." 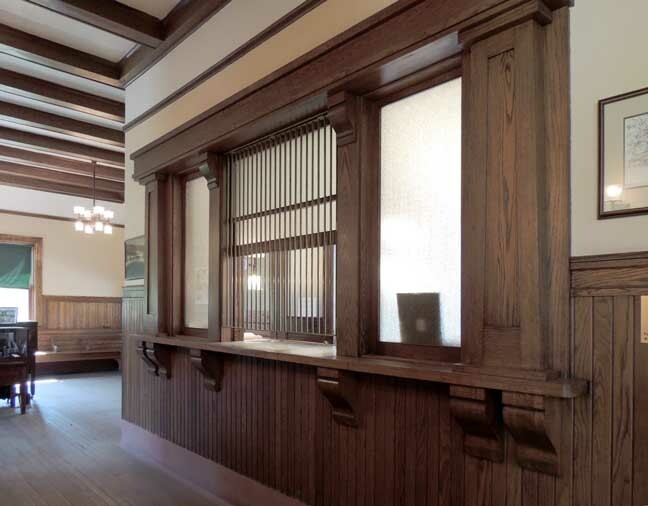 The interior was divided into a pair of waiting rooms for men and women, with a ticket counter between. 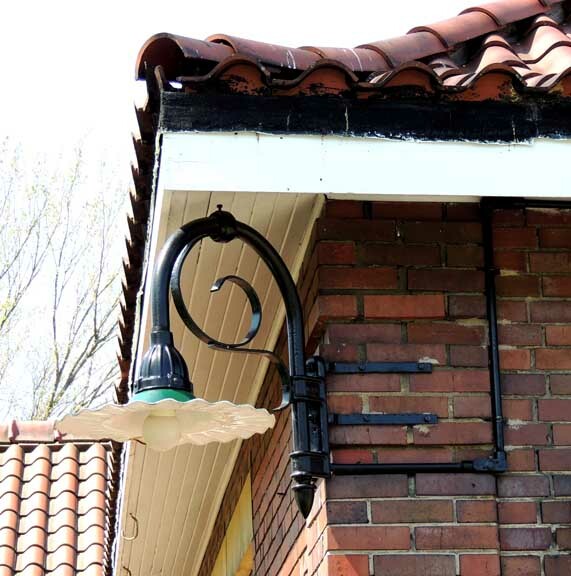 The platform was shaded by a canopy, which wrapped around the east end of the building into a porte-cochère. Construction, by the Norcross Brothers firm, cost $16,290. As with a number of other stations on the line, Frederick Law Olmsted designed the landscaping, which included large trees, shrubs, and Japanese ivy. 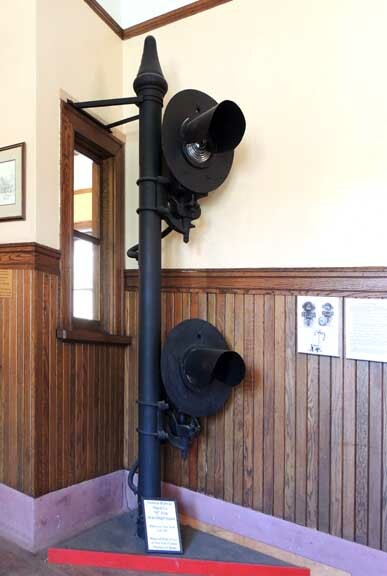 A replica of the station, still standing, was built by the Buffalo, Rochester and Pittsburgh Railway in 1911 in Orchard Park, New York. 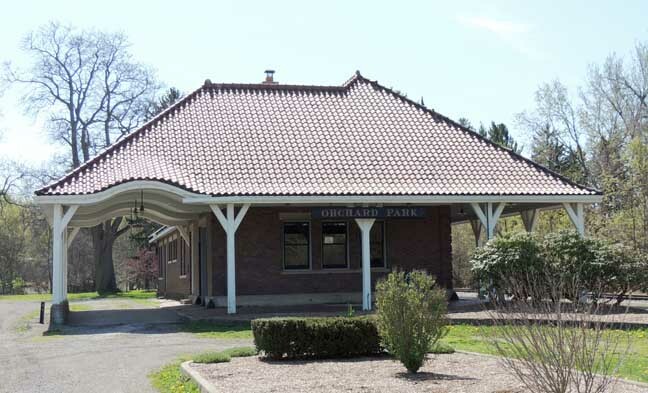 The Orchard Park rail stop was built in 1911 based largely on a plan designed by Henry Hobson Richardson for the Auburndale, Massachusetts. The Massachusetts depot was razed years ago. 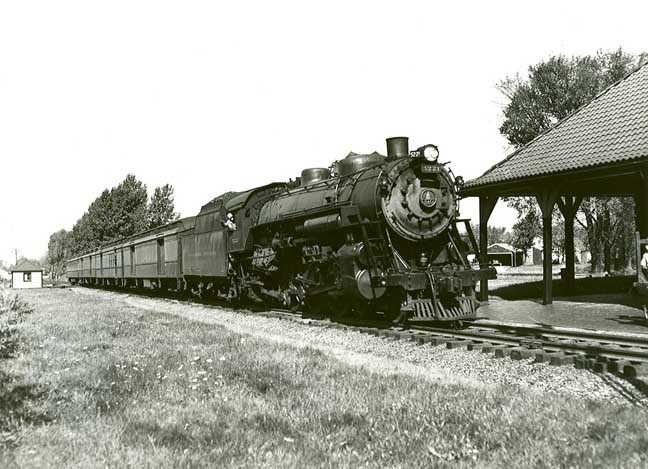 Located on South Lincoln Avenue near the South Buffalo Street railroad overpass, the depot was a combined passenger and freight depot from 1911 to 1955, an important period of growth in the Southtowns community. 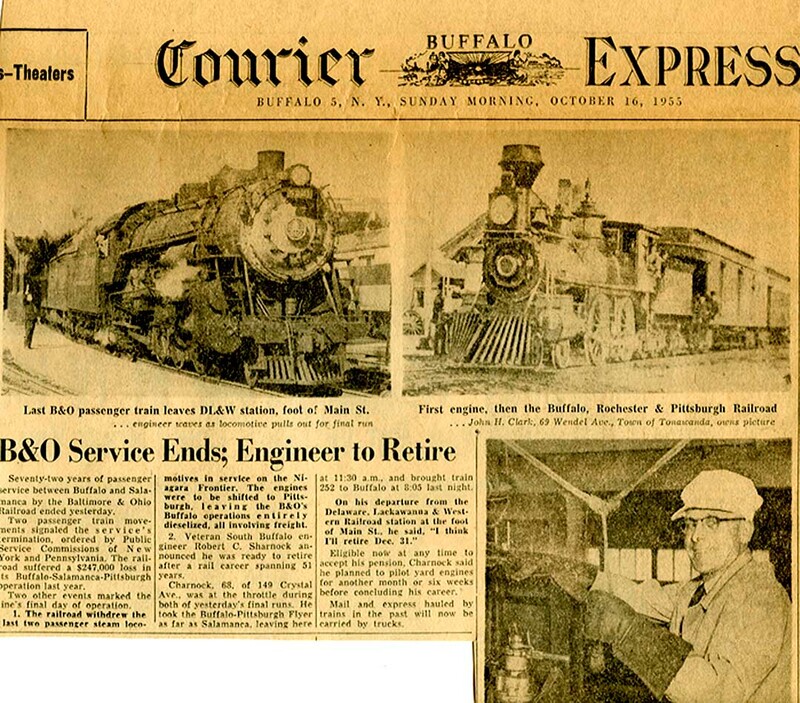 Passenger train service was discontinued in the mid 1950's; freight service ended in 1979. Men's waiting room. 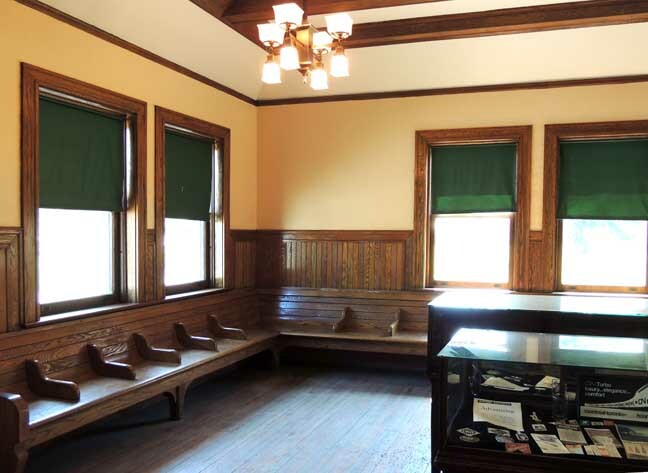 A similar waiting room for women, is on the other side of the ticket counter.